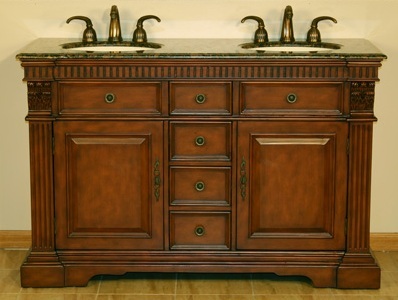 A great price for this 55" wide, high end stone top cabinet vanity. 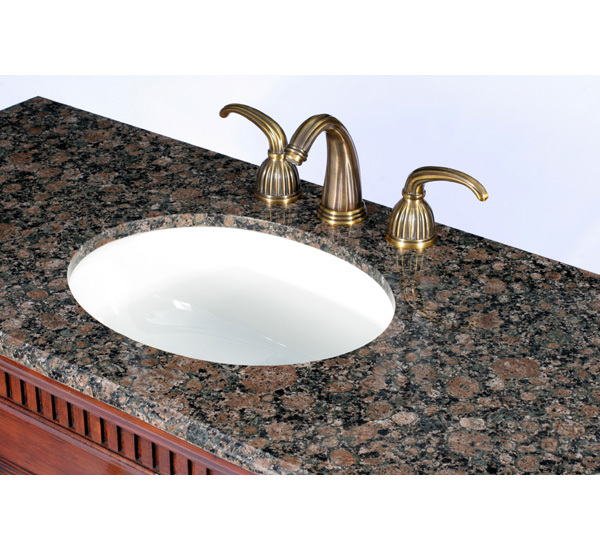 Baltic Brown solid granite countertop wood vanity ships with oval, undermount ceramic ivory sink. 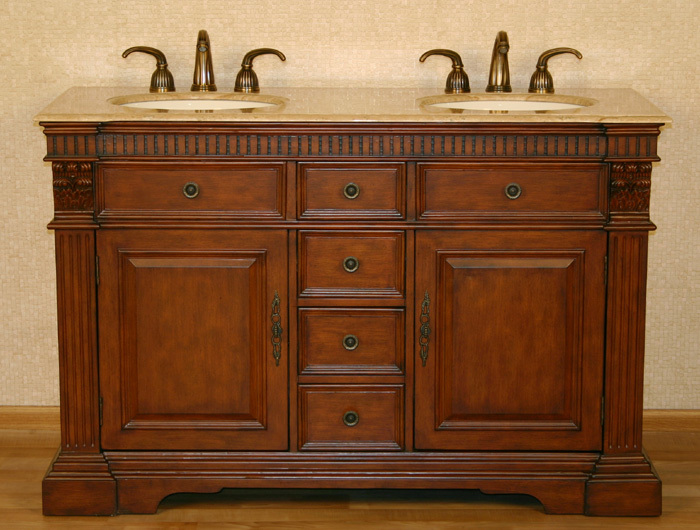 Warm wood cherry finish with a soft brown chestnut accent. Top is predrilled for 8" widespread Fixed Mount (3 holes) faucet. 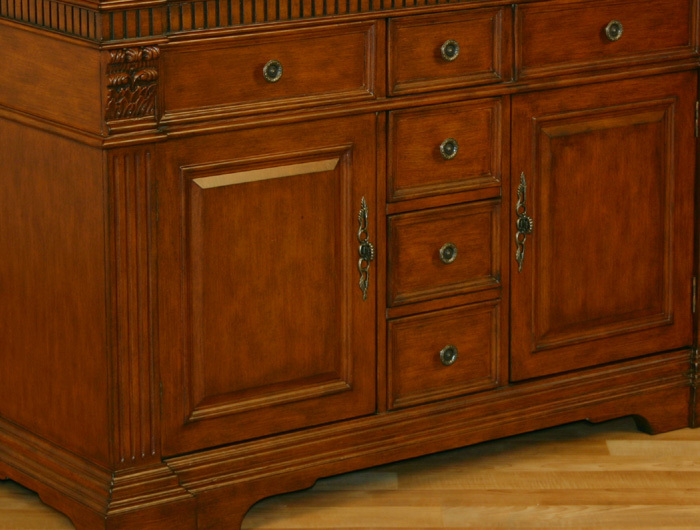 Two doors and two side drawers with ample storage space. 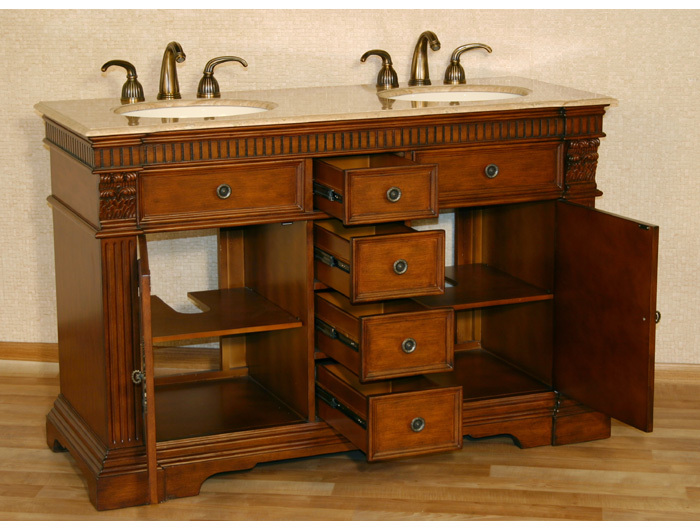 Interested in this vanity style? 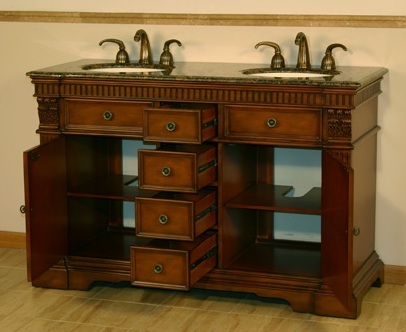 The Sandra vanity is also available in 48" and 67 Inch width sizes. Antique Brass Door Hardware. Vanity ships fully assembled. Overall Dimensions W=55" D=21" H=36"
Two doors and two side drawers - Lots of organized storage space. 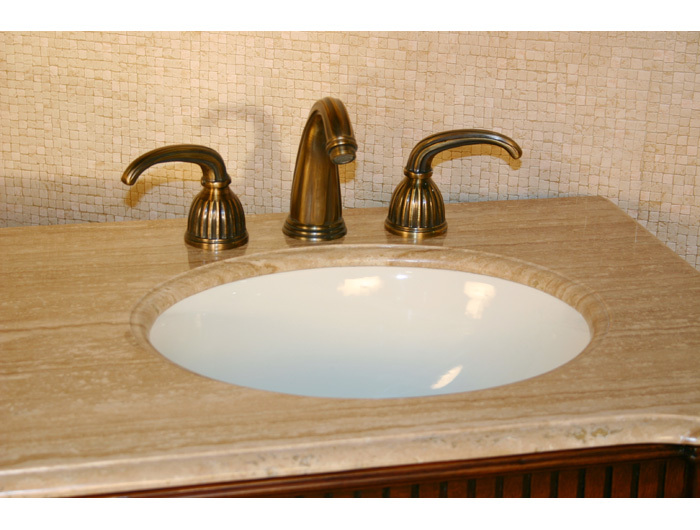 Freight is $256.00 or less, depending on size, weight & destination of vanity.